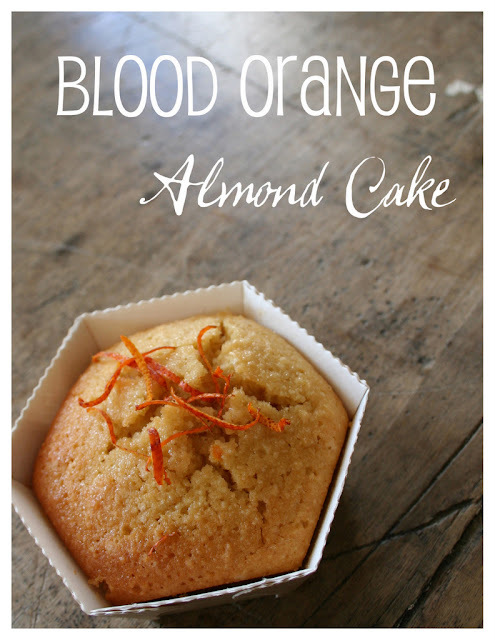 If you are a fan of the French 'cookie' called a Financier, then you will be crazy for this sweet orange infused almond cake. Traditionally, the Financier (which got it's name from the patisseries located near the Paris Stock Exchange in the late 19th century and made in rectangular forms to resemble bars of gold .... ) is made from blanched almond meal, egg, sugar and a large portion of butter. 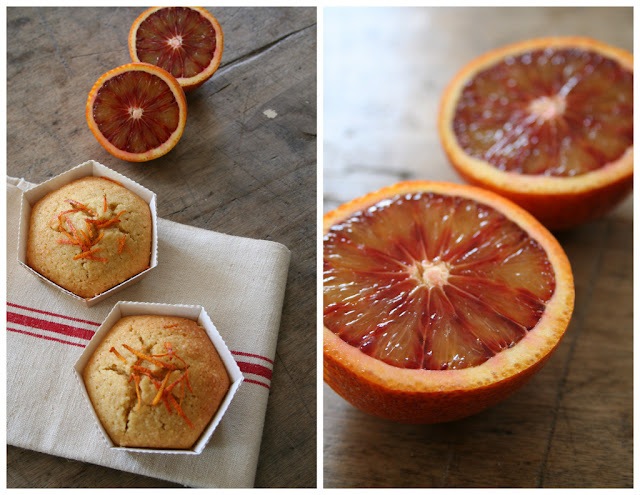 My version, beyond being cake and not a cookie, is also different in that I used gorgeous and sweet 'blood-oranges', the juice and the zest, to flavor this moist and lovely textured cake. 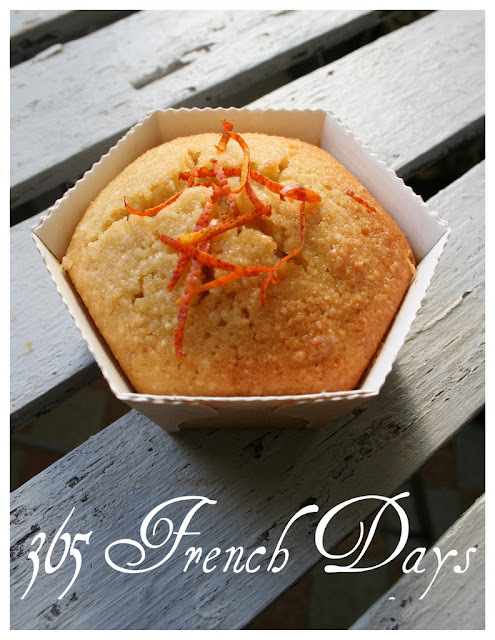 My recipe is also gluten and dairy free so that everyone can enjoy it! Blood-oranges make an appearance in the markets from December to March, commonly grown in Italy, now easily available in the US and other areas; they get their maroon 'blood' color from growing in the cool low night temps of late winter and early spring. I love blood-oranges! They are great in some many dishes and talk about stunning! Beat the melted margarine with the sugar and vanilla, slowly add the four eggs and continue to beat for 3-4 minutes. In a separate bowl blend almond flour, gf flour and baking powder. Add flour mixture to beaten egg and sugar mixture and beat for another minute before adding orange juice. As a final step, blend in zest. You can use any form you have. I used large (cup-cake size) cardboard hexagon shaped forms, but as you know I am a huge fan of silicon baking forms. So depending on what you use, the cakes will cook at 350 degrees for 15 minutes for tiny forms to 35-50 minutes for a full cake size. Just watch and when they are golden and 'cracked' they are done! The outside is slightly 'crisp' and the inside is dense and moist! what are blood oranges called in France? I asked the guy at my fruit store if the inside of the oranges I chose were orange or red and he said orange. Sure enough it was a blood orange, but it was labeled as "Orange - Maroc". I think they are called 'Orange-Sanguines'. I didn't see the name when I bought them--I knew they were blood-oranges because they had the reddish/orange skin. Orange-Maroc could be right too, if they are grown there.